As a recognized leader in the IT Consulting Industry, Jeff Sardis knows how to build teams and develop talent. In the mid to late 90s, his track record of a 40% annual growth rate at Spectrum Concepts Consulting Corporation demonstrated how cultivating and recognizing talent fuels growth. Today, he brings that experience and growth perspective to AETEA. Before he merged Spectrum with AETEA and joined AETEA’s executive team in the late 90s, Jeff was the President of Spectrum Concepts Consulting Corporation. Spectrum was a NY consulting business that he grew from $8 million to $58 million in revenues and expanded to the NJ and PA markets. Under his leadership, the firm achieved prime vendor status at leading International Consultancies, Pharmaceuticals, and Financial companies. The firm also experienced zero turnover in six years of operation and was recognized as having one of the highest productivity rates in the industry. Jeff is a founding member of The Open Door Foundation and has been an active member of the TechServe Alliance (formerly the NACCB) and The Executive Committee. An engaging speaker, Jeff has spoken at numerous industry functions and at Columbia University. A native of Long Island, he received his B.S. in Computer Science from Hofstra University. 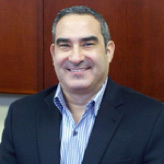 Charlie joined AETEA in 1998 and is a key member of the Company’s Executive Management Team. He has spent his career overseeing and directing the financial management and capital planning initiatives of several rapidly growing firms. Prior to AETEA, Charlie served as Chief Financial Officer of COMSYS Technical Services for 8 years. During his tenure with COMSYS, revenues grew five-fold and he managed the integration of several acquired companies. A Certified Public Accountant, Charlie started his career as an accountant with Coopers and Lybrand (now PricewaterhouseCoopers). He also held financial positions for a rapidly growing PC retailer and for the Baltimore Sun newspaper. Charlie graduated from Washington & Lee University. Andrew rejoined AETEA as the Senior Vice President of Sales and Operations in June of 2018. Andrew had 2 prior successful stints at AETEA where he was responsible for the overall performance and profitability of AETEA’s Branch Offices. During Andrew’s tenure, he was instrumental in hiring, training, developing and mentoring the internal staff. Andrew’s wealth of experience, enthusiasm, authenticity and “lead by example” management style has earned him implicit trust, unmatched respect and unwavering loyalty from the sales and recruiting teams he has built. Andrew is adept at creating, fostering and maintaining a corporate culture where winners and top performers are celebrated, rewarded and recognized. 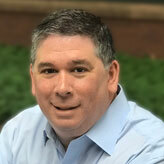 Andrew began his career at AETEA Information Technology (formerly Spectrum Concepts) in 1995 as an Account Manager and quickly became a consistent “top performer” based on opening and managing some of the firms key clients including; Morgan Stanley, Chase Manhattan Bank, Bayer Corporation and Estee Lauder. In 1999, he was promoted to Vice President/Branch Manager of the New York office, where he was responsible for all sales, recruiting and administrative functions. During Andrew’s second stint with AETEA from 2004 to 2010, he served as EVP/COO and lead the organization to record profit earnings. Andrew received his B.A. in Business Administration from the New York Institute of Technology. Since joining AETEA as one of its first employees in 1997, Beth has been responsible for developing, implementing and maintaining the corporate infrastructure and managing the daily accounting, finance and human resource activities to ensure accuracy, compliance and risk mitigation. She leads a staff of knowledgeable and experienced professionals using a hands-on approach to providing excellent customer service to AETEA’s employees and clients. Prior to AETEA, Beth served in various accounting, acquisition and integration positions with COMSYS Technical Services. Beth earned her B.S. in Accounting from Virginia Tech and is a Certified Public Accountant. She currently resides in Gaithersburg, Maryland with her three sons.